Situated against a steep hill, this luxury hotel has magnificent views of the northern suburbs. With many flights of stairs to move up and down the multi-level complex, keeping the stairs and walkways safe for guests and employees is a priority. The hotel is beautifully designed with sophisticated decor. We had to provide a solution that would maintain the luxurious look of the space but provide the required protection against slips and falls. 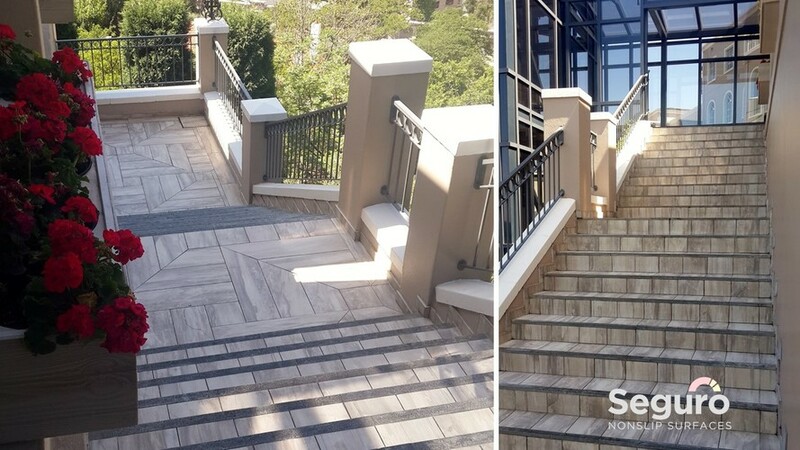 Our anti-slip coating added the much needed slip-resistance to the tiled outdoor spaces.